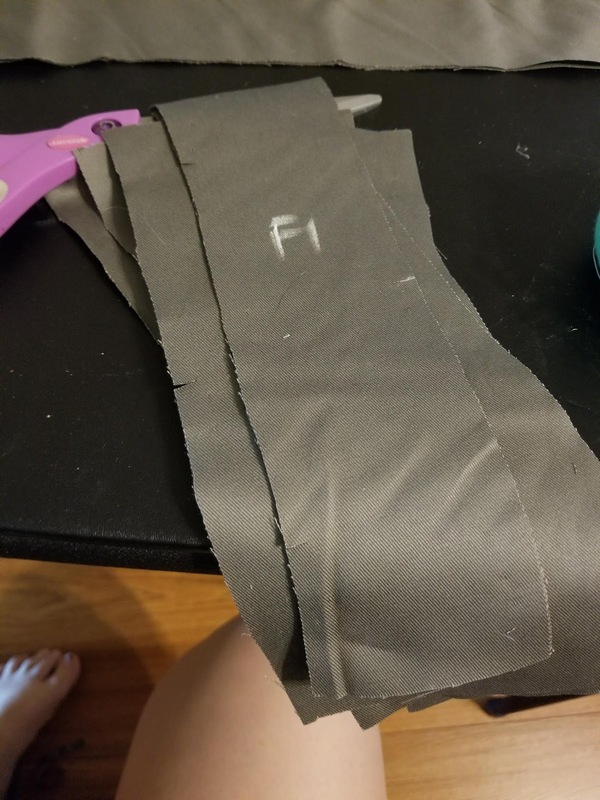 I've finally finished fem Cable, which means... TUTORIALS! 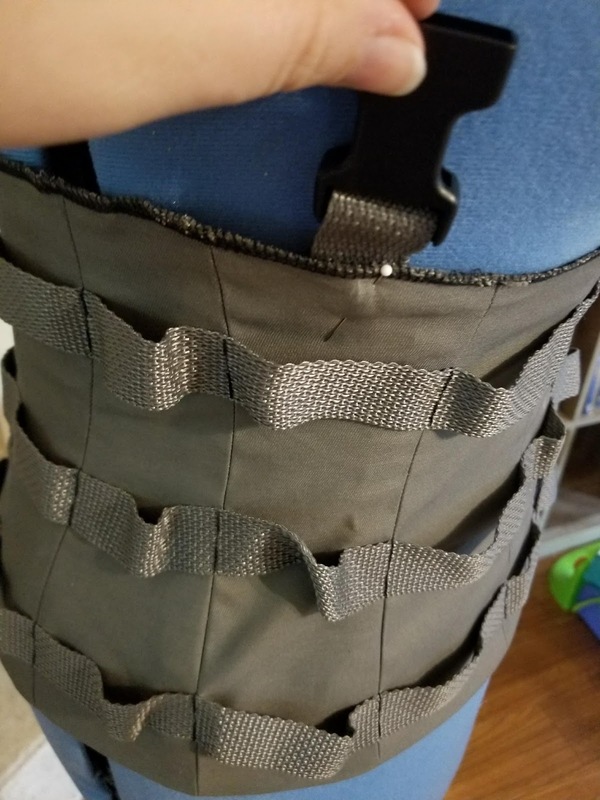 Let's start with the corset style tactical vest. 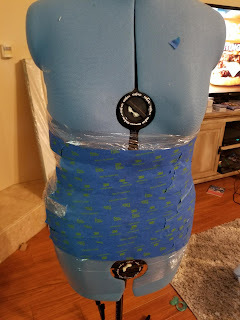 If you have a mannequin, set it to your measurements, wrap it in plastic wrap, then cover in tape (duct tape works best, but painters tape and making tape will work in a pinch). 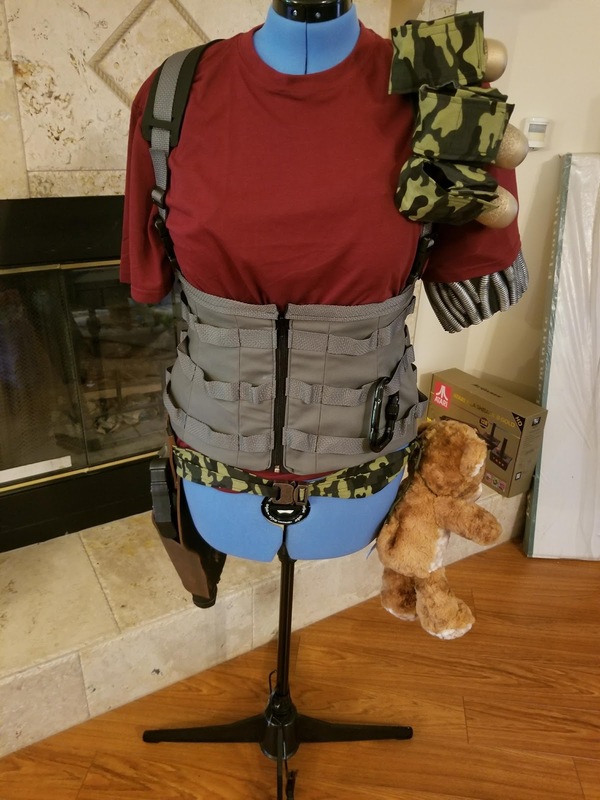 If you don't have a mannequin, get a friend to help and use yourself. Draw the pattern pieces for your corset. 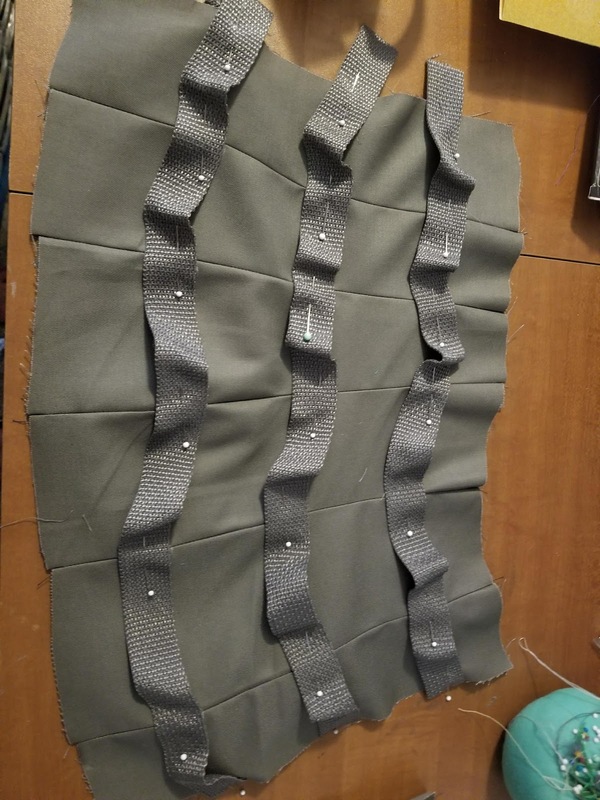 I decided to make mine more like a fashion corset, instead of a reducing corset so I didn't make a bunch of pattern pieces. If you want reducing, you could make more. 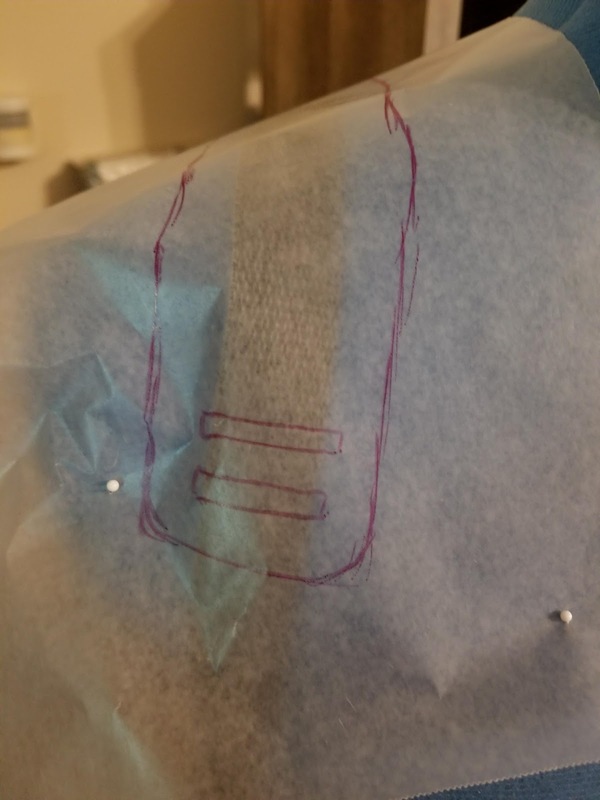 Also, you only need to draw on half your tape form. You'll use those patterns for both sides. 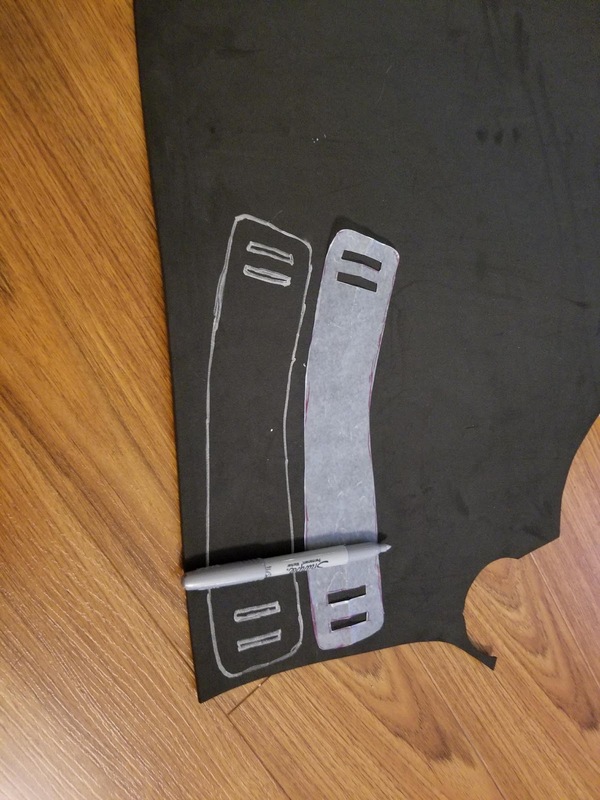 Be sure to number them and add lines to help match up the pieces later. Cut out. 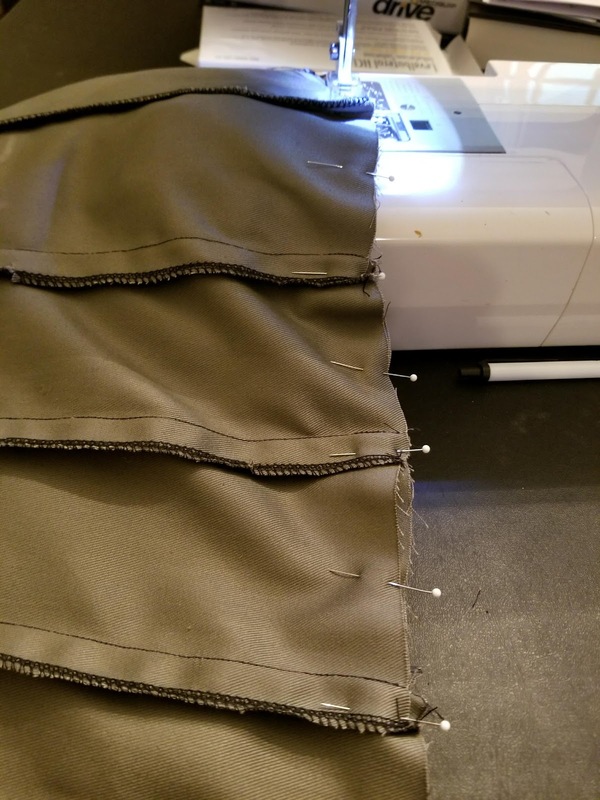 Add seam allowance to the top and bottom of all your pieces. You do not need to add seam allowance to the sides since its a corset. 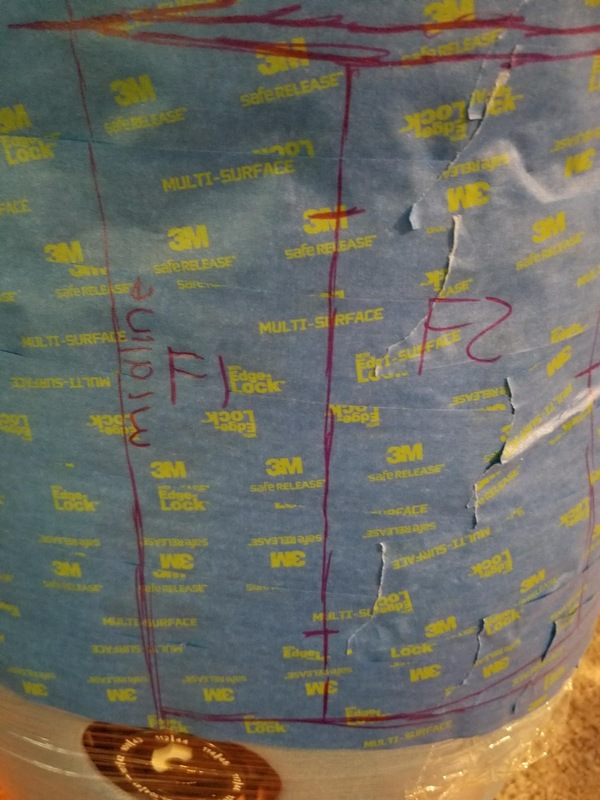 I highly recommend transferring your tape pattern piece to paper (butcher paper, newspaper, etc). I didn't, and now I have to clean all of my pins since they're sticky from the tape. 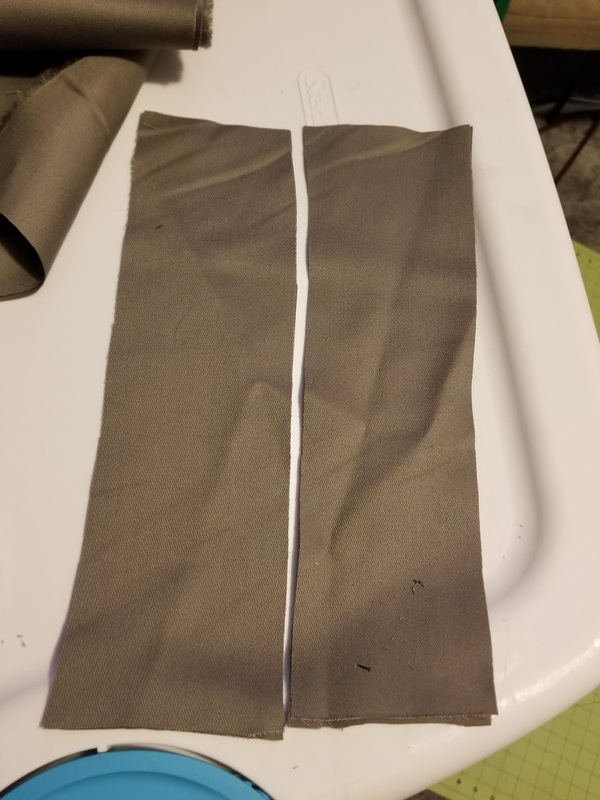 Cut out of your fabric and lining. Cut out of interfacing (I forgot to do this). 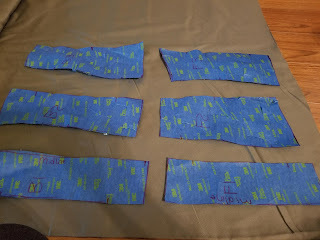 Apply interfacing to fabric. Sew together your outer fabric. Sew together your lining. 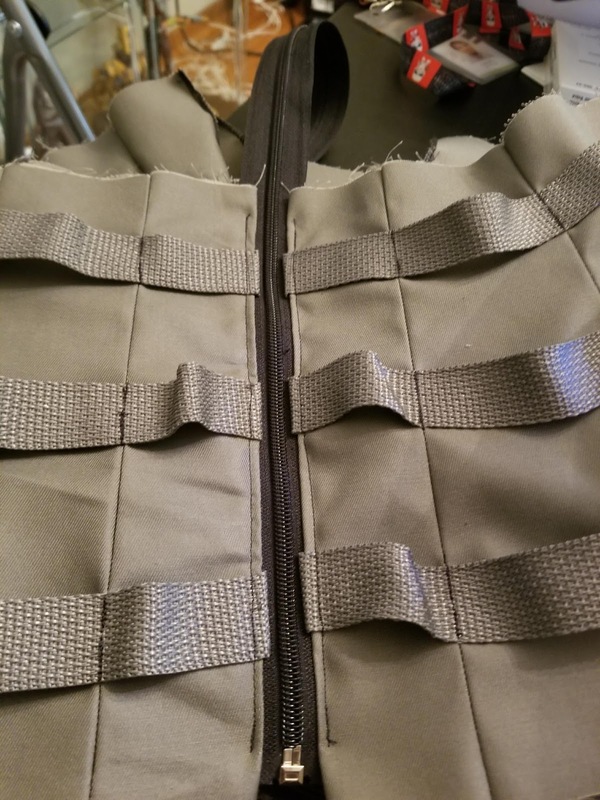 On your outer fabric, place your webbing where you'd like it. I started mine 1.5 inches from the top, and 2 inches apart after. You can do yours however you'd like, but I recommend measuring it so it's consistent. Sew your webbing down along the seams. Install zipper to outer fabric and lining. Be sure to pin the zipper while it's closed to make sure it lines up. 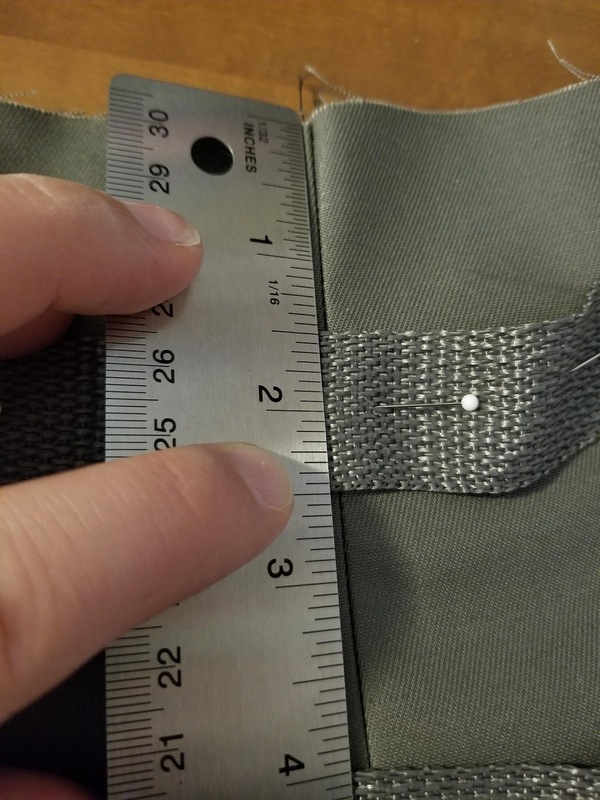 You'll want to use a separating zipper, so you can unzip it completely while sewing. Measure your channels. Cut or buy boning at those measurements. I used spiral steel boning because plastic pinches me. You may use either if you're making a fashion corset. If you're making a reducing corset, use either spiral or flat or a combo of the two. 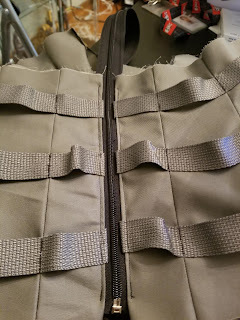 Now, I forgot about closures when I added the webbing, so I had to create an extra panel in the back for the grommets. Use interfacing in the outer fabric of this back panel. 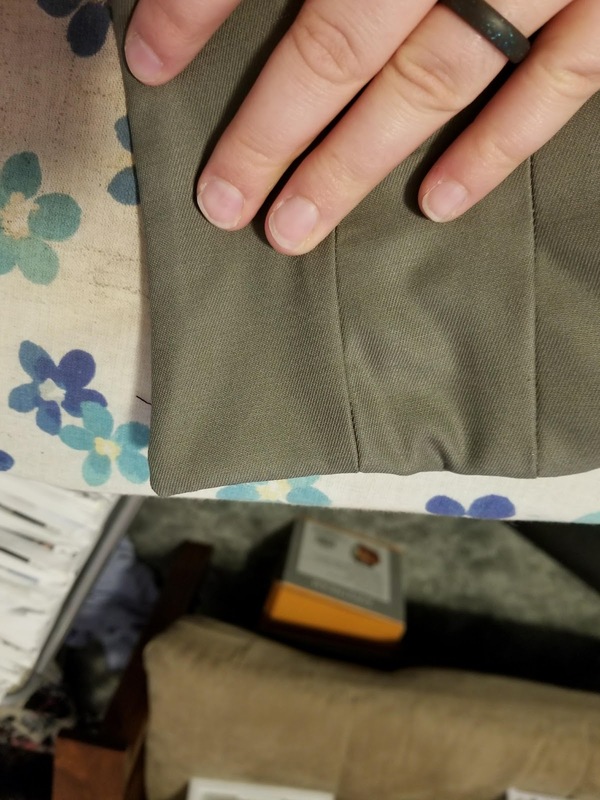 Sew to back of the fabric and lining. 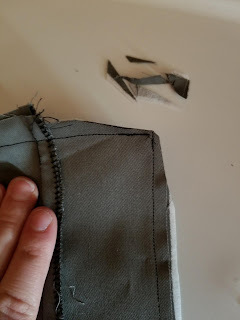 With right sides together, sew the back panel together. 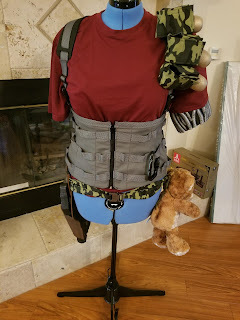 Clip and turn, pressing out your corner. 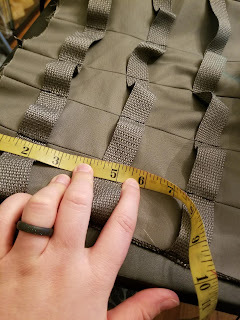 Measure out where your grommets should go, and install per instructions. 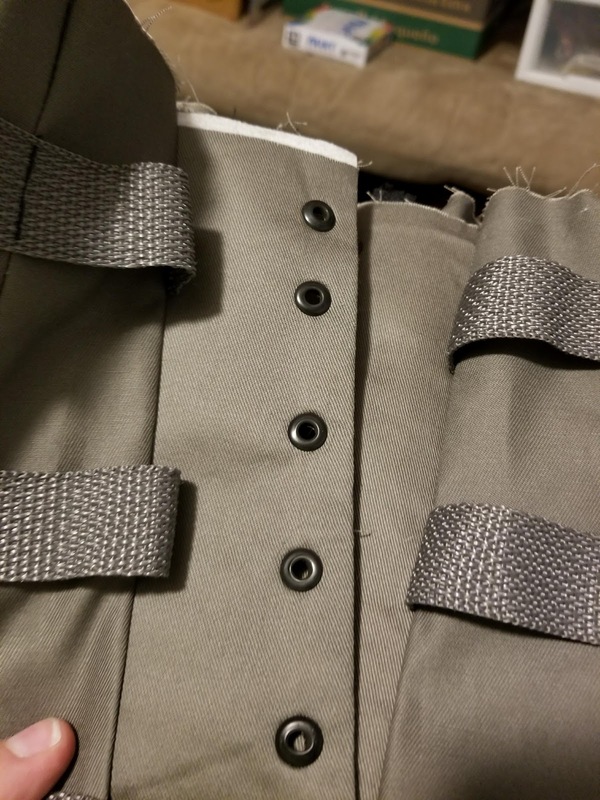 I recommend heavy duty grommets. Lace. 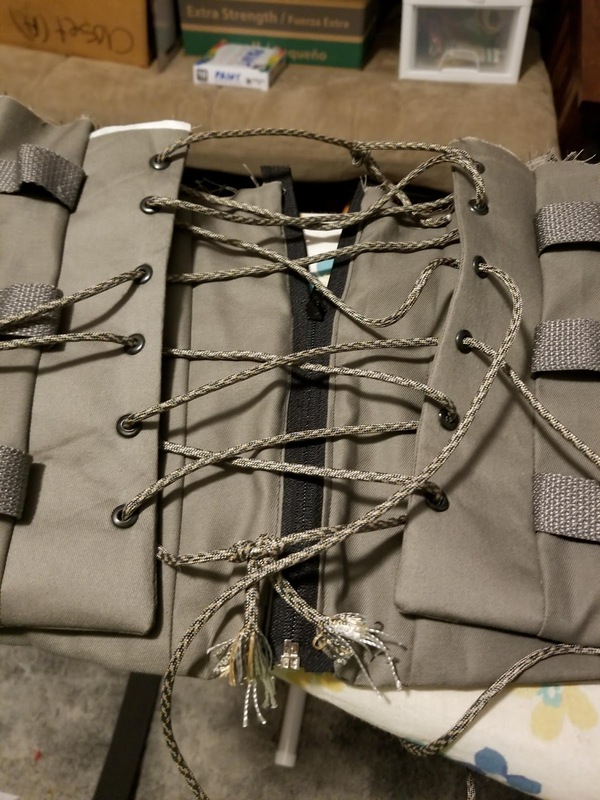 I used para cord, but you can use regular lacing. If using para cord, I recommend using the knot before. 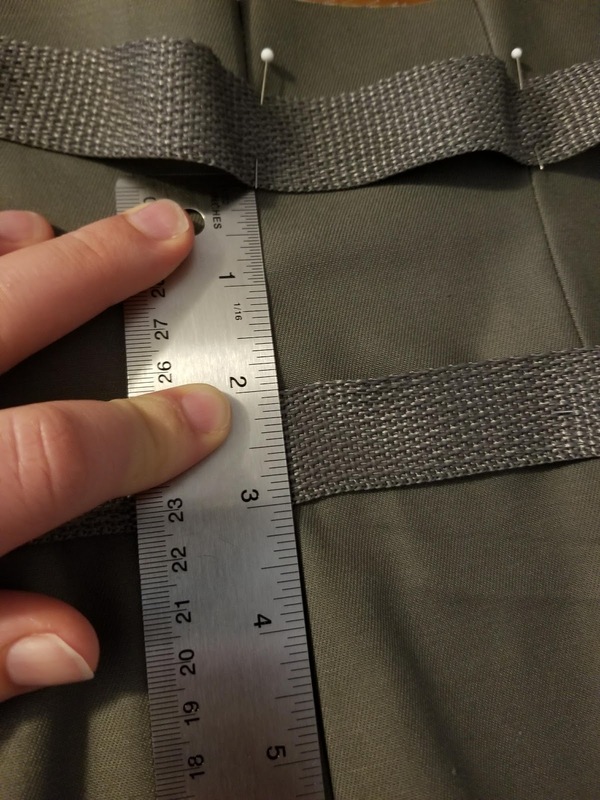 With corset on, mark where your straps should be on the front and back (you'll need help). Pin front in place with buckle. 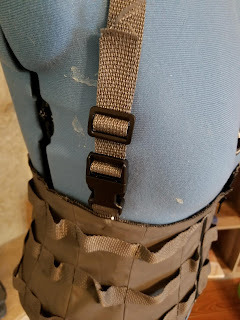 Install second buckle piece to the end of the webbing, buckle, and measure out using your mannequin (or on you with help). Cut to length. 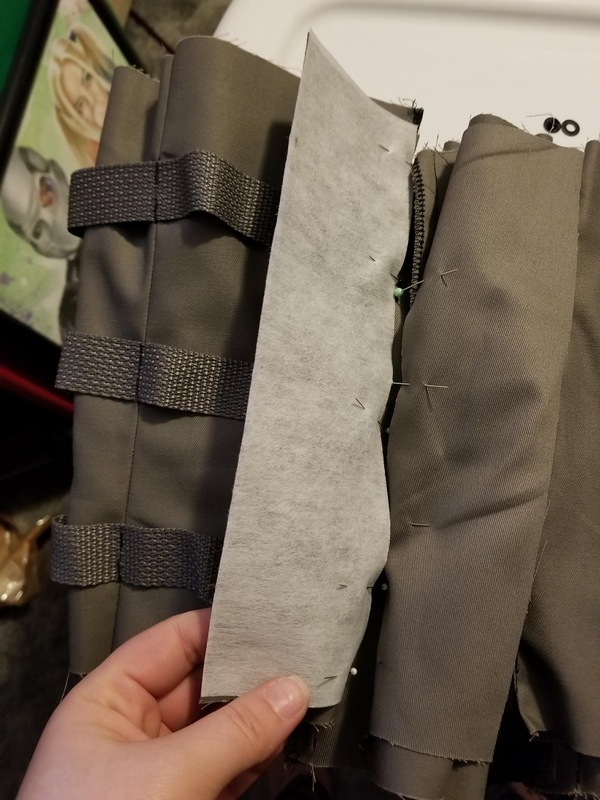 Be sure to burn the edges of the webbing to seal. Measure another piece to connect shoulder webbing to back of corset and to the other should webbing. Sew it all together (but not to the corset). Decide how to want to finish your edges. 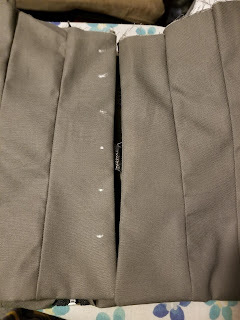 I turned the corset inside out, sewed across the bottom edge, flipped right side out, and pressed the seam. Then for the top, I attached a piece of webbing. You can also use binding, or fold in the upper edge to create a seam like your bottom. Since I used webbing, as I sewed that, I also attached the shoulder straps. 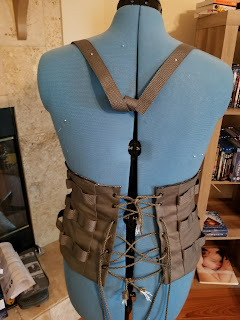 Put corset on your mannequin and sketch out shoulder pad. Cut out of foam, plastidip, paint. Thread through your webbing to install. And that's it. If there is any part of the tutorial you would like a more detailed description of, or even a video of, let me know!